Founded in 1899, Northern Arizona University is located on a 740-acre campus in Flagstaff, Ariz., about 7,000 feet above sea level in a region that gets an average of 288 sunny days a year; Northern Arizona offers 95-degree programs to its undergraduates, and another 57 graduate and doctoral degree programs. As of June 2011, undergraduate enrollment at Northern Arizona is 18,301, and another 5,299 graduate students are enrolled. 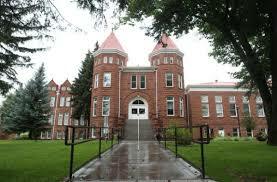 • Associated student of Northern Arizona University (ASNAU) global opportunities scholarship: $252-$1000. • No excuse scholarship: $500-$1000. • Academic Percentage & Backlogs: Students must have65% - 70% & not more than 3 – 5 backlogs in Under Graduation to Qualify for Admission. • 568 in GMAT is required to qualify for admission into MBA. • English Requirement: All students are required to submit proof of English proficiency from one of the following English tests. • Conditional Admit: No Conditional Admit. • International Program Dates (Deadlines): The deadline for spring is department specific. October 1st is for most of the departments, but for some departments, September 1st is the application and document deadline for spring (January Start). • Application Type: Online application.